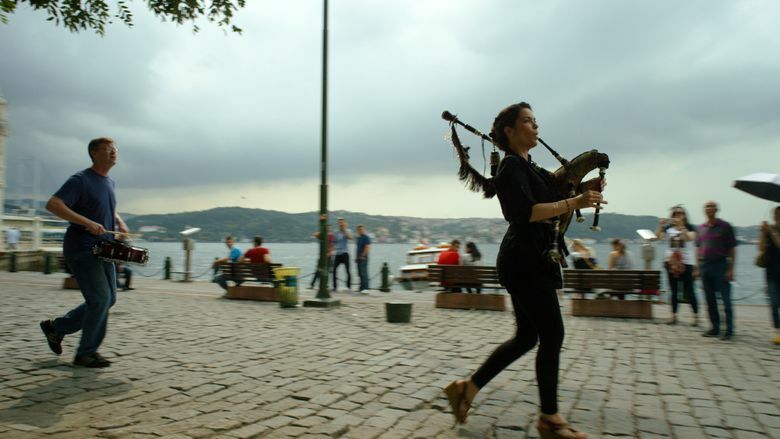 Neville’s film, an irresistible kaleidoscope of music and good fellowship, lets us explore the globe with a group of talented musicians. Cellist Yo-Yo Ma, himself a citizen of the world (born in Paris of Chinese parents, he grew up in New York), founded the Silk Road Ensemble in 2000 as an “experiment,” he muses in the film: “What might happen when strangers meet?” Its members come from all corners of the world, as do their instruments: Cristina Pato’s gaita (a Galician bagpipe), Wu Man’s pipa (a historic Chinese lutelike instrument), Kayhan Kalhor’s kamancheh (an Iranian fiddle). Celebrating 15 years of the Silk Road Ensemble, the film gives us a bit of Ma’s life story (we see a brief, enchanting clip of him as a 7-year-old prodigy, introduced to television audiences by Leonard Bernstein), but mostly just lets us hitch a ride on the group’s ongoing world tour. Neville, who directed the Oscar-winning music documentary “20 Feet From Stardom,” finds joy in every tuneful frame: it’s as if these instruments, as well as their players, are speaking to each other, becoming friends. By the end, you look at the musician’s faces — particularly Ma’s beaming smile — and find a truth: through music, we can always find our way home. 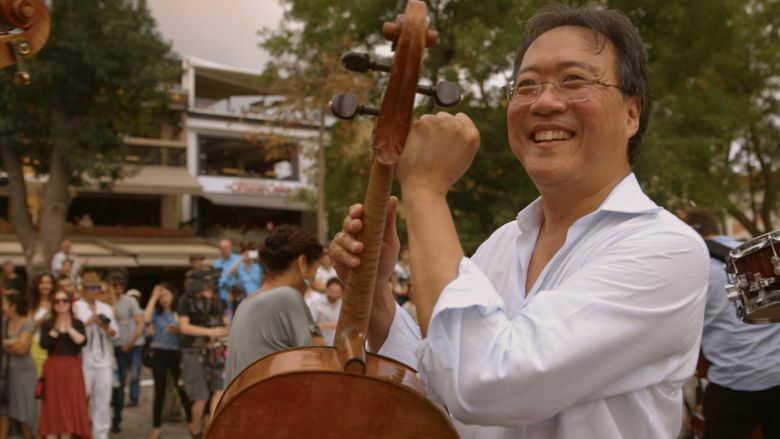 ‘The Music of Strangers: Yo-Yo Ma and the Silk Road Ensemble,’ a documentary directed by Morgan Neville. 96 minutes. Rated PG-13 for brief strong language. Sundance (21+), Uptown.